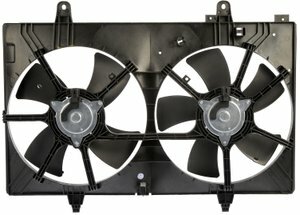 Save time, money and labor with Dorman A/C Condenser Fan Assembly. It comes ready to install as a complete assembly, eliminating the need to make separate purchases. Plus, our high quality engineering ensures optimal air flow and strength to prevent your vehicle from overheating.